A 94-year-old Normandy veteran from Norfolk says he feels as if he's being "left to die" - after the county council refused to fund a place in a Royal British Legion care home. Len Mann was just 19 when he fought on D-Day - but now he says he's too frail to live by himself in his Norwich bungalow. Len can afford half of the fees needed for the 24-hour care he wants in Cromer - but the council won't pay the rest. They say they're working with him to keep him independent and explore his care options. He wants to spend the end of his life at a Royal British Legion care home - Halsey House in Cromer - but Norfolk County Council has so far refused to contribute to the fees. "Being in the airborne, you mustn't give in and that's how I am. I just try to do things for myself and I can't do them anymore. I nearly cried the other day because I was so down in the dumps and then when the council said they couldn't help me it made things even worse." 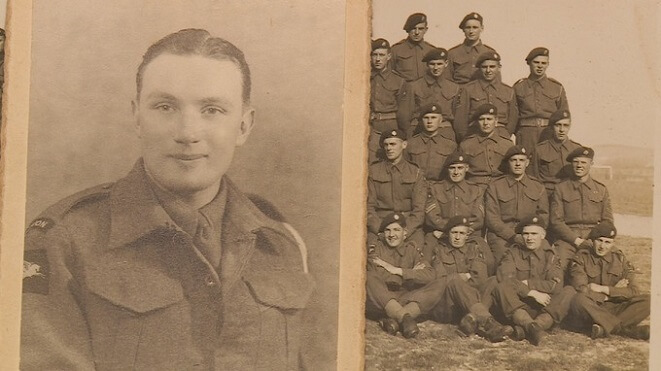 As a private in the Devonshire Regiment, Len was known for his bravery. In 2016, he was awarded France's highest honour - the Légion d'honneur. His daughter, Beryl, says he is now too frail to continue living by himself in his bungalow in Norwich. He has osteoarthritis - and has fallen a dozen times in the last year - left lying on the floor in pain until paramedics can get there. He's visited by carers twice a day but is desperate to move into a home - for the 24-hour care... and for the companionship. Norfolk County Council say they're working with Mr Mann and his family to provide appropriate support to enable him to live independently in his own home, for as long as possible. They say he gets two visits a day and has an emergency alarm service. “Assessments are carried out using all relevant information available at the time. But of course, things change and we are keeping in close contact with Mr Mann and his family - monitoring his needs and abilities.